Ann Wright, Attack on Freedom Flotilla; Ilan Pappe, Israeli Assaults on Gaza & the "Jewish Nation State" Law, Plus, International Law Expert Richard Falk on the "Jewish Nation State"
Ann Wright joins us to talk about the Freedom Flotilla to Gaza, and the attack on one of the ships, the Al Awda, by Israeli soldiers in international waters, and the kidnapping of those on the ship. The vessel was attempting to deliver food and medical supplies to Gaza, which has been under siege by Israel since 2007. Ann Wright is an activist and a former US ambassador. Historian and Author Ilan Pappe on Israel's Genocidal Assaults on Gaza, and the Israeli "Jewish Nation State" Basic Law. Israeli forces have shot over 16,000 Palestinian protesters since March 30, killing 152. Israel has continued not only its deadly assaults, but the destruction of the infrastructure, making food and clean water increasingly hard to get. This is incremental genocide. At the same time, the Israeli legislature has made a new basic law, granting Jewish people rights that do not apply to others, and embracing settlements as "a national value." Ilan Pappe will talk about all this. Ilan Pappe has published fifteen books on the Middle East, including The Ethnic Cleansing of Palestine. He is the director of the European Center of Palestine Studies, University of Exeter. Richard Falk gives another perspective on the new basic law declaring Israel the Nation-State of the Jewish People. 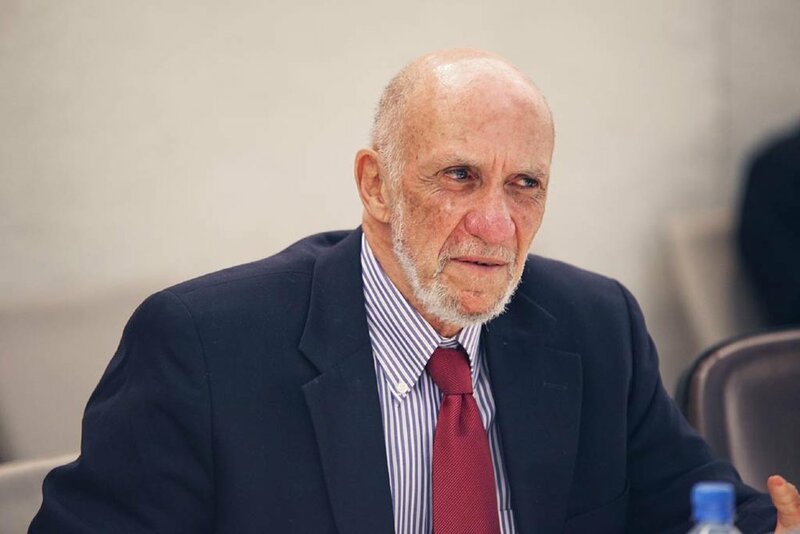 Richard Falk is the Albert G. Milbank Professor Emeritus of International Law at Princeton University and Visiting Distinguished Professor in Global and International Studies at the University of California, Santa Barbara. He is the former UN Special Rapporteur on Palestinian human rights in the occupied territories.